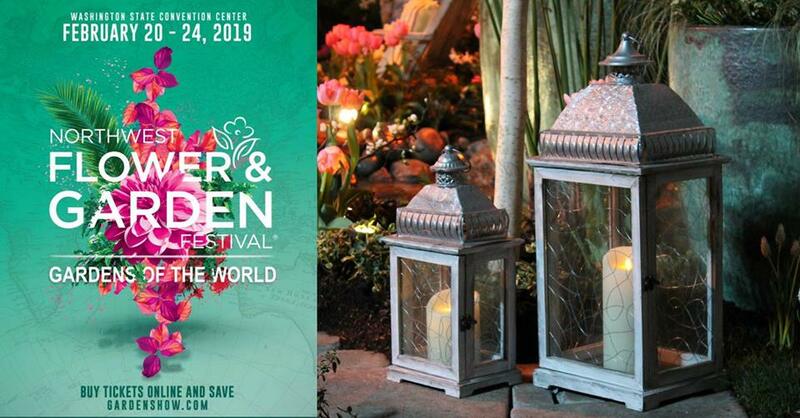 Join us in downtown Seattle as we celebrate Gardens of the World with over 20 fully landscaped display gardens, 100 free world-class seminars, and thousands of treasures in the garden & vintage marketplaces. You are cordially invited to experience the "Gardens Of The World" at the Northwest Flower & Garden Festival! Join us for the second-largest garden show in the United States in downtown Seattle, WA. ?? - ? Indulge in over 25,000 blooming bulbs in 20 full-scale display gardens and find fresh inspiration for your space. - ? Gain expert knowledge in our 100+ FREE seminars [Schedule: nwf.gs/seminars19] ? - ? Shop our massive marketplace of 350+ exhibitors filled with plants, vintage decor items, local gourmet food, and so much more! [Exhibitor list: nwf.gs/exhibitors19] ? - ? Enjoy daily activities, including Floral Design Workshops and Container Wars - watch popular designers compete in under 30 minutes to create fabulous container displays! ? - ? Experience the stunning Floral Competition and the City Living displays - balcony patio gardens providing inspiration for condo and apartment dwellers. ? Join us February 20-24, 2019 at the Washington State Convention Center in downtown Seattle to experience spring in February! All the juicy details can be found at gardenshow.com.